The mining concession for the use of the Sassovivo spring dates back to 1928. However the water had already been in use by the inhabitants of the neighboring areas. 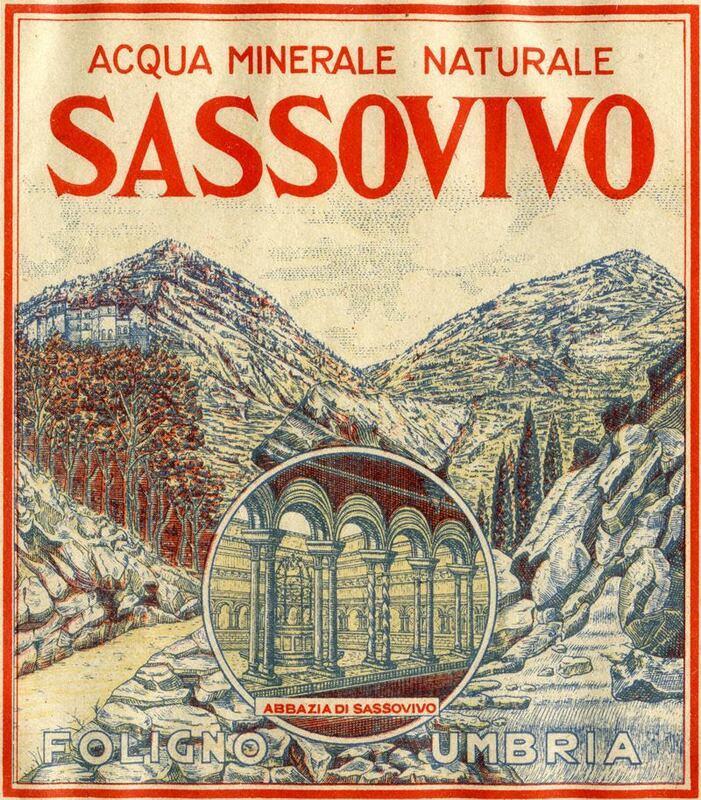 In 1905, Prof. Bellucci from the University of Perugia had described Sassovivo’s water as an alkaline water whose therapeutic attributes were associated with the alkaline-sodium salts, potassium nutrients and litigation elements dissolved within it. “The excess amount of carbon dioxide, which would be required for the formation of neutral salts, makes the water more active and therapeutically effective. 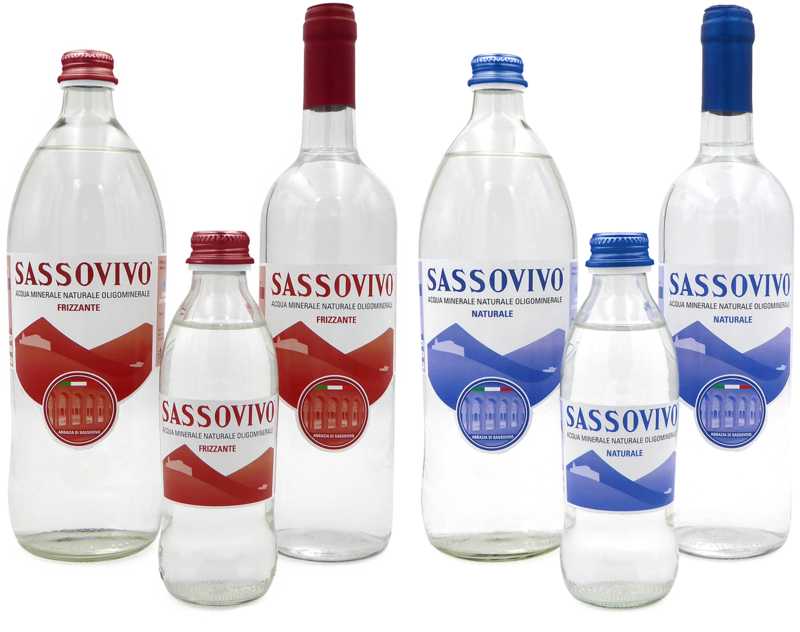 Other substances, which help to maintain the excess carbon dioxide, also help to mineralize the Sassovivo’s water. Without these substances, the water would lose all its special qualities.” (Professor Mario Timio, author of “Le Fonti di Sassovivo”). At about 600m above sea level, Sassovivo’s water flow from the living rock inside the “Grotta dell’orso”, through stainless steel pipelines and into the bottling plant and external vending machines. The maximum distance between the spring and the distribution facilities is just 25 meters. Only glass bottles of 0.25, 0.75 and 1 liter sre used in the plant. The water has a low fixed residue of 208 mg / l, a constant temperature at the source of 10 degrees centigrade, a perfect balance of the salts dissolved in it, a low content in sodium of 4.2 mg / l.
Thanks to its organoleptic characteristics and its ionic components, water has diuretic effects. It can be used in all hypotonic diets, among other strict diets. Empirical observations indicate Sassovivo’s water effectiveness in diathesis and in uric calculi. However, a scientific study is required to endorse these properties. 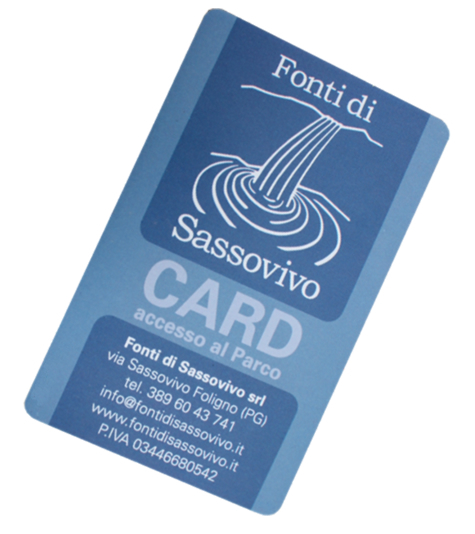 The Sassovivo CARD allows access to the park during opening hours. It is valid for two months and allows the withdrawal of water from the vending machines. The CARD can be purchased at the office of the Fonti di Sassovivo plant. 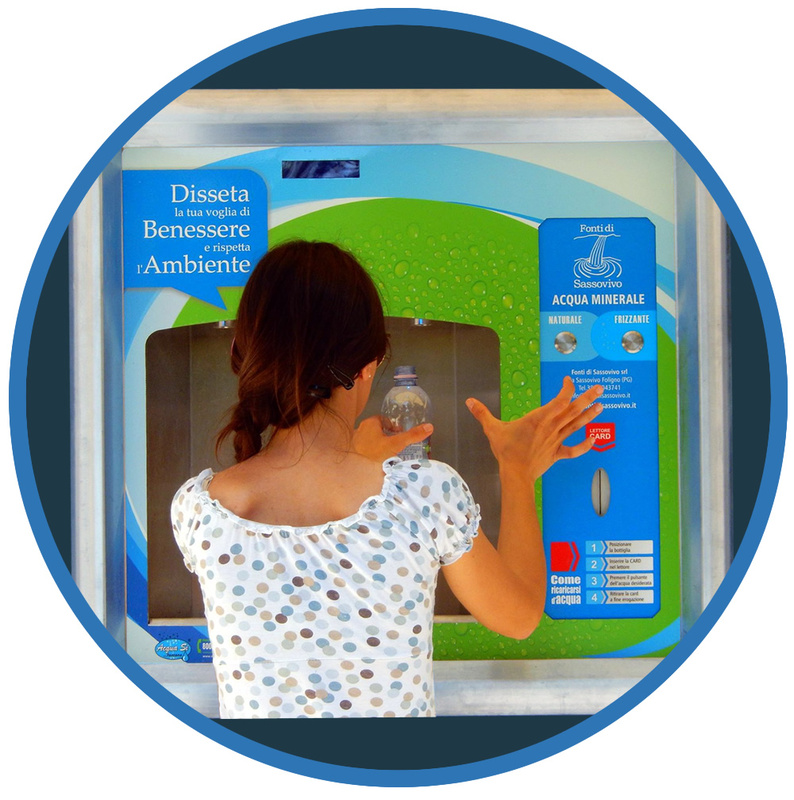 At the Fonti di Sassovivo plant there are vending machines made accessible from 8.30 to 19.00 where is possible to fill water contaniers. The distributors, which supply both still and sparkling water, are only 25 meters away from the spring. You can take water with your own containers (preferably glass bottles) of liter or liter and a half capacity. At the plant, you can buy one liter glass bottles with mechanical closing cap. They can be contained in the “historical” yellow box of Sassovivo water.